Changing your last name due to marriage or divorce is relatively simple in Illinois: you need only present your marriage or divorce certificate to the authorities that issued your identity documents in your old name, and obtain replacement documents reflecting your new name. Changing your last name for other reasons is a bit more complex, but is still quite manageable: you will have to complete several forms and pay filing fees and petition a court for a name change order. Establish legal residence in Illinois. You must have been an Illinois resident for at least six months to petition for a name change. If you have moved to Illinois and obtained an Illinois driver's license or personal ID card, you are likely to be considered an Illinois resident. Publish a public notice in your local newspaper that states your intent to change your last name. You must list your full current name and your proposed new last name, and the notice must run every day for three consecutive weeks. The publication fee varies depending on which newspaper you use. Obtain a Certificate of Publication from the newspaper you used, proving that you published the notice. Obtain a name change petition and a draft court order from the Circuit Clerk's Office of the Illinois Circuit Court with jurisdiction over your residence. The exact names for these forms differ according to which court issues them, but their content is is essentially the same. Complete the draft court order and the name change petition. The draft court order requires you to list your name and your proposed new last name. The name change petition requires you to list your current name, your address, your proposed new last name, the length of time you have resided in Illinois and the state or country of your birth. File these forms and the Certificate of Publication with the Circuit Clerk's Office, together with the appropriate filing fee. The filing fee varies by court, but can be up to several hundred dollars. The Circuit Court will schedule a name change hearing at least five weeks after the date of your last notice appeared in the newspaper. Attend your court hearing and present your petition and draft court order to the judge. 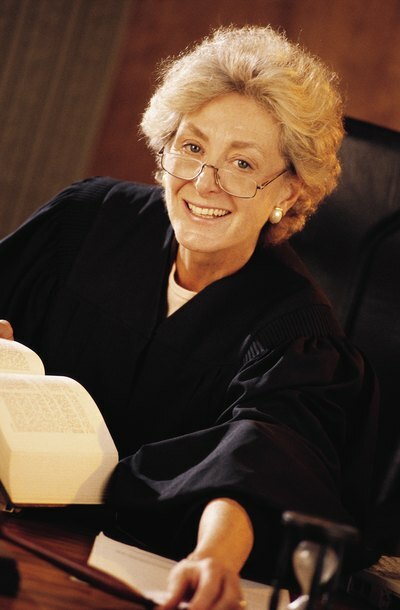 The judge may ask you the reason for your name change, and may hear adversarial testimony if anyone has filed an objection to your name change. If the judge approves your petition, you may obtain copies of the judgment by paying a small fee for each copy (this fee varies according to the court that issues the judgment). Use your court judgment as evidence to replace identity documents such as your driver's license and Social Security card.